eCompliance is an Internet-based application that allows you to securely document Freon inventory, recovery, disposal, maintenance, and reclaiming as required by the EPA Clean Air Act. We created eCompliance to provide a web-based, centralized, paperless refrigerant management resource with data storage and reporting tools that incorporated the new EPA regulations. eCompliance will make your compliance program easily understandable by operators, technicians, safety managers, and supervisors. All facilities will be integrated to the same format, reducing costs and increasing efficiency of personnel, reliability, and sustainability of your compliance programs nationwide. Our program will provide you with assistance in everyday operations and it can be accessed anywhere there is an internet connection. 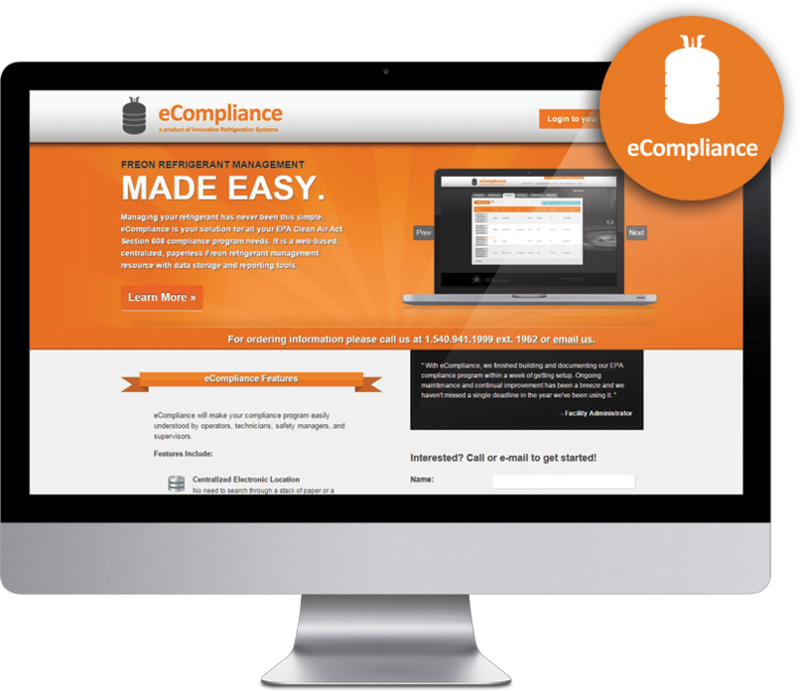 eCompliance offers a set of online tools for your industrial refrigeration plant at an affordable price. Recording of refrigerant recovery, recycling, and reclaiming. Reporting includes summary of facility usage, annual inventory, and annual consumption of refrigerants.